Terri began her career selling real estate in 1976 after graduating from the University of Tampa. She went into business with her mother as the managing broker of her 30-year old real estate firm. 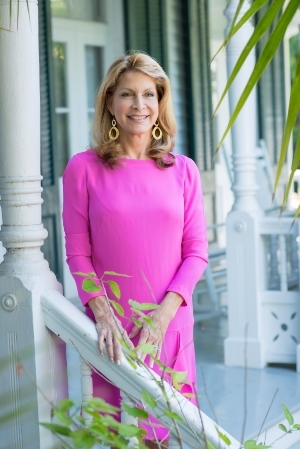 In 1979 Terri relocated to Key West upon marrying local attorney John M. Spottswood Jr. where she continued her successful career selling real estate with Knight Realty which later merged with Prudential in 1993. Terri worked in the office of Prudential Knight-Keyside Properties until 2004 when she and four other high-powered realtors founded Truman and Company. In addition to her real estate achievements Terri is the proud mother of 4 children. Terri and her team of professionals have been setting new records each year having earned the "Top Producer" award for five consecutive years. In addition Terri also earned national status having repeatedly achieved the most distinguished awards of Chairman's Circle and “Legend”. As a preeminent real estate professional in the community, Terri and her team are dedicated to providing the finest service available while breaking new ground. Because the real estate industry is becoming more sophisticated and challenging every day, you need professionals that understand the industry and are positioned to stay ahead of the game. They go the extra mile to help you achieve your goals. That's why they constantly research the market and property values so your home is priced effectively from day one. Terri also makes sure the public knows your home is for sale by using innovative advertising and marketing techniques to attract potential buyers. Whether thinking of buying, selling or just curious about how current market trends are affecting your property, allow Terri and her team the opportunity to provide to you a FREE professional opinion regarding the value of your property.